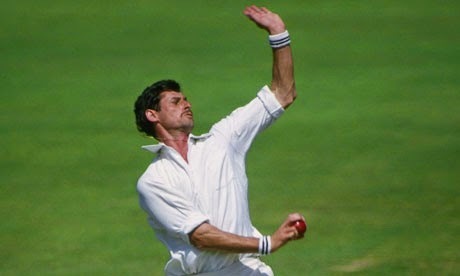 Hadlee was one of New Zealand's finest ever players, and was one of the best bowlers cricket has ever seen. New Zealand had a fairly mediocre side during his career, but thanks to his ability to ream a batting order, the Kiwi fellas still managed to win a few matches every now and then. This is the thing about NZ cricket: we're usually not that great. We can beat anyone on the day, but generally we find ourselves on the receiving end of a dealing to. It's challenging being a Kiwi cricket supporter. He's the skipper and one of the most threatening batsmen playing at the moment (for any country). 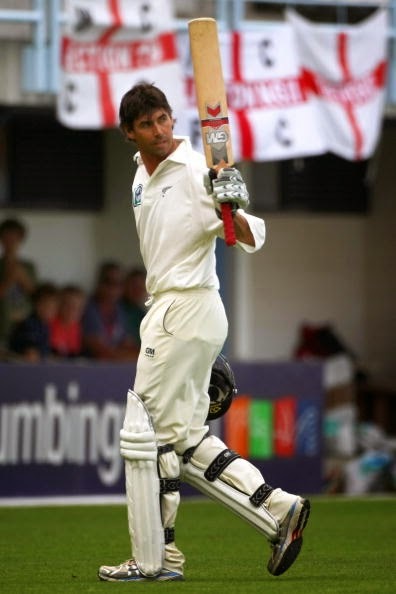 He recently made then highest score by a New Zealander ever: 302. To put it in context, only 24 people have ever made over 300 runs in an innings. It was an excellent captain's innings, as it was instrumental in saving NZ from probable defeat. 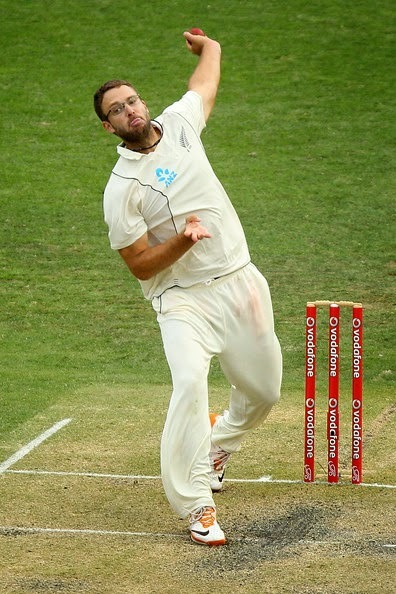 He's a canny captain, and he's also a bloody good wicket keeper (he's not the current glove man for NZ though). Another absolutely astounding batsmen, and one that would probably make the team sheet in any side. I've come to expect at least a half century from Williamson every time he walks out to the crease, and he's generally good for it. Also a pretty good bowler. Dan's reaching the end of his career, but he's been representing NZ since he was 18 in 1997. He's one of our most successful bowlers, despite being pretty bloody unglamorous about it. In the middle of his career he also became a fine batsmen, making him one of the best all-rounders in the game. Southee's one of a bunch of new bowlers coming onto the scene, and - for once - giving NZ a bowling attack that can take 20 wickets, and possibly even rattle the opposition batting order. 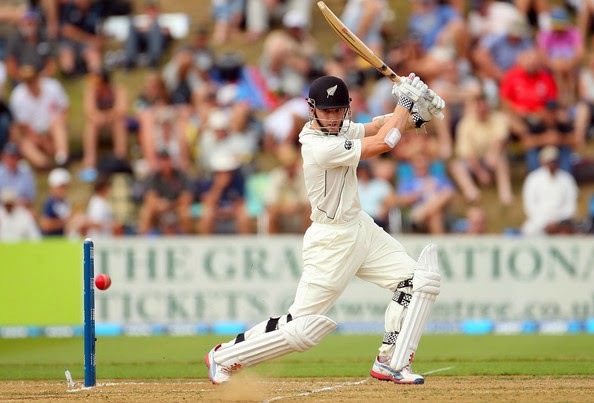 Southee's also a reliable tail-end batsman, which was evidenced in his first test when he made a good fist of digging New Zealand out of a hole against England, scoring a blinding 77 not-out (40 balls faced; four 4s and nine 6s in that... the most 6s ever in a single batsman's innings is 12, so that's no mean feat!). We still lost, but Southee went down fighting. Whilst Hadlee was toiling with the ball, Crowe was making sure we were competitive in the run-making. Flem represented New Zealand from 1994-2008, and from 1997 as captain. He was probably the best captain in the world at the peak of his career. Other skippers had better winning records, but fellas like Ponting for Australia or Smith for South Africa were steering far better teams. The other thing one can't forget when discussing New Zealand cricket is our most ignominious records: lowest score in a test innings. 26. That wasn't one player: that was the whole team. For those not familiar with cricket, anything less than 200 in an innings is bad; above 400 is reasonably good, and innings can stretch up to 700-odd in the modern game. So 26 is... abysmal. Fortuntely it was back in the 1950s: 2nd Test: New Zealand v England at Auckland, Mar 25-28, 1955. That's me dad, Don Cameron. 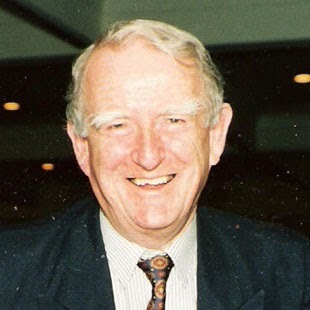 He was a sports journo for one of the main NZ daily newspapers, the NZ Herald, between 1950-1988. He look me to my first cricket match (WSC World XI v WSC Australia), and got me Richard Hadlee's autograph. He taught me to bowl, but never really managed to teach me to bat. He took me to dinner with Viv Richards. He also allowed Greg Chappell into our house, which I've kinda never forgiven him for. I can't wait to get back to their stead in Auckland, and sit down in front of the telly to watch the Cricket World Cup with him. NB: if you own the copyright on any of these images and want me to take them down, just let me know.